Are you an author based in England, Scotland, Wales or Northern Ireland? Have you just written a novel and are now looking for help with editing your manuscript before you send it to be a book publisher? 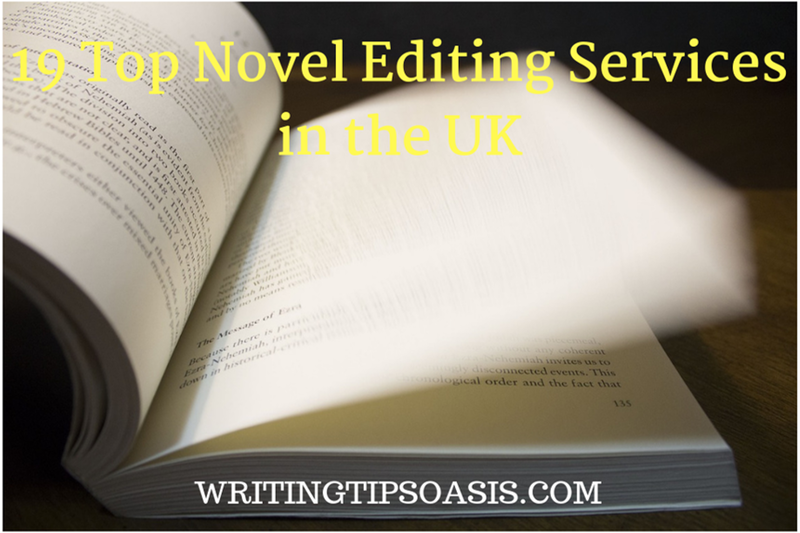 Below you’ll find 19 top novel editing services in the UK. Note: Before selecting an editor for your book including any of the following novel editing services, do your due diligence. Find reviews of the editing service you’re interested in and request samples from the editor, so you get an idea of the quality of the provider. If you’ve completed your manuscript and are hoping for professional and efficient editing, The Literary Consultancy is an excellent service to consider for your novel editing needs. Operating since 1996, they can assess your manuscript and offer copy-editing, proofreading, and even ghostwriting options. They have successfully assisted thousands of authors finetune their work for publication. Whether you’ve written fiction, nonfiction, short stories, poetry, or children’s picture books, the TLC can help you work out any issues with your manuscript. They even offer a 5% discount to returning clients with previously edited manuscripts! A comprehensive list of their service fees can be found here. Based out of Dorchester, Dorset, Cornerstones is an editing service that was founded in 1998 by Helen Corner-Bryant. Helen worked at Penguin Publishing for many years, but decided to launch Cornerstones Literary Consultancy to better assist authors with their manuscripts directly. With over sixty editorial consultants with expertise in agenting, publishing and writing, this editing service is able to provide you with a number of editing packages. They even offer one-on-one mentoring support, as well as line editing, copyediting and proofreading at per hour rates. A full table of their service fees and package options can be found here. New Generation Publishing was originally founded in 2009 as a part of the award-winning independent publishing house Legend Press. The editing service would later become its own company in 2011. New Generation Publishing aims to not only help edit your manuscript, but assist in the marketing of your book, as well. They offer proofreading and editing services as low as £2-3 per 500 words. They also offer more comprehensive critiques of your manuscript starting at £299. For more information, click here. Whether you have a fiction or nonfiction manuscript, a children’s story, a picture book, or even a screenplay, Jericho Writers can offer you editing services catered to your work’s needs. They even have a package that can help you prepare your manuscript for submission to potential agents! With turnaround times as little as three to four weeks, you can expect high-quality and comprehensive editing. Their rates are based on your word count, and you can get a rough estimate on how much it would cost to edit your manuscript by clicking here. Lyn Curtis is a literary consultant and editor who worked at Victor Gollancz and William Collins before working for five years at IPC Magazines. She’s worked with several of the UK’s best-selling authors, and many of her clients have published their works with companies like Hachette UK, Cornerstone Random House, Brown and more. She is capable of editing both fiction and nonfiction, but does not accept poetry, plays or science fiction. For books up to 90k words, the flat fee for her editing service is £300. For more information on her rates, you can check out her webpage here. Claire Wingfield has worked with several hundred authors as a literary consultant since 2007. Having studied English at Cambridge University, Claire understands the literary industry’s ins and outs. Offering reader reports, editorial packages, and even a mentorship program that can run from three, six, or nine months, Claire will help make your manuscript truly standout. She even offers a package that will help you get together an attention-grabbing cover letter, synopsis, and the first three chapters of your story to send off to agents or publishers. For more information on her packages and rates, check out her website here. The Oxford Editors offer manuscript assessments for fiction, nonfiction, academic books, screenplays, stage plays and even poetry. They also offer rewriting services, copy-editing, proofreading, ghostwriting, and one-on-one mentorships for new and experience authors. 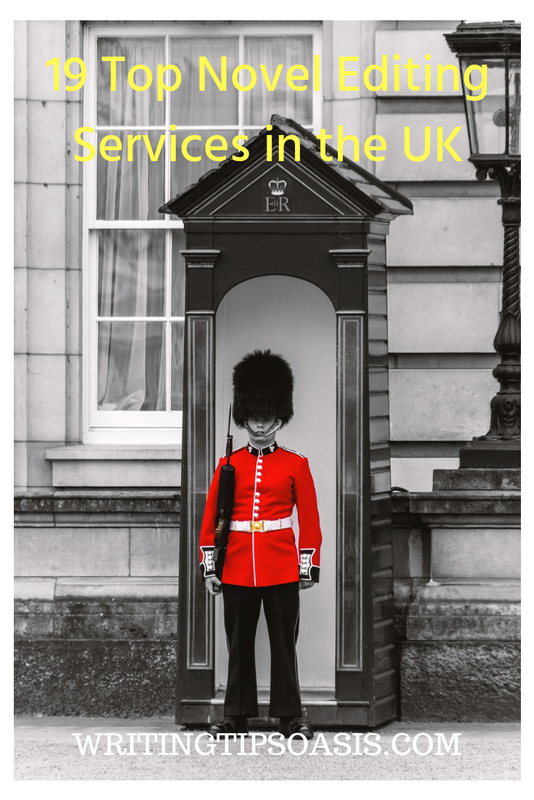 Service fees depend on the length of the manuscript that you submit, ranging anywhere from £100 to £700. If you have a manuscript that is more than 100k words, they recommend reaching out to them first. For more information on their fees and services, click here. With over fifteen years of experience, and having worked with award-winning authors like Ann Cleeves, Peter F. Hamilton, and China Miéville, Julie Crisp is a literary agent, editorial consultant, and freelance editor who’s ready to help you with your editing needs. Some of her services include reader’s reports (starting at £200), structural reports (starting at £1200), and line editing and manuscript development reports (starting at £1600). Feel free to check out her client list and her website for more information on rates. Writing is hard, and True Editors is here to help! They offer proofreading and editing included under a single fee, are available 24/7, and can help writers looking to perfect their manuscripts for novels, magazines, poems, screenplays, blog posts, academic assignments, business material, resumés, cover letters and more. You can easily get a quote on how much it would cost by clicking here. Simply enter the word count of your writing and when you would like to have the project returned. Based out of London, England, True Editors are definitely one of the UK’s top editing services. Mr. Edit has a preference for adventure stories, thrillers, crime dramas, humor and general fiction. He offers manuscript appraisals, general proofreading and editing, and even ghostwriting services. He also runs writer’s workshops to help authors improve on their writing and self-editing skills. With over twenty-five years of experience, he can help any writer reach new heights, regardless of whether they’re new or experienced authors. Beginning at 1 pence per word up to 1k words, he can typically return a 50k word fiction project within roughly 50 hours. Be sure to check out his website for more information. He has a number of excellent writing resources and even has writing tutorials posted on YouTube for the aspiring writer! If you also happen to be interested in submitting your edited manuscript to a literary agent or publisher, Mr. Edit will also help you write an eye-catching query letter. Having worked with authors like S.D. Reeves, author of “Curses of Seale,” and Kris Back, author of “Free Will,” John Rickards is a UK-based trade journalist and editor with a significant amount of experience in the industry. His services include manuscript critiques, copy-editing, developmental manuscript editing, and heavy edits. While his service rates are stated on his website, he does appreciate being sent a query letter first to make sure that your project will be looked after appropriately and charged a reasonable rate. As a fellow novelist, Katharine D’Souza is also an accomplished writing coach and freelance editor whose knowledge of the literary world can help boost your manuscript from good quality to absolutely great. She offers quick manuscript critiques, structural and developmental editing, and copy-editing. As an independent UK self-publishing company based out of Cardiff, Rowanvale Books also offers a variety of editing services to help authors work out the kinks in their manuscript. Their services include scanning and typing services (taking your handwritten manuscript and producing a Word document), proofreading, copy-editing, connecting you with beta readers, author mentorships, and even book illustration services. For a comprehensive list of their services and rates, click here. Her services include manuscript critiques (starting at £50 for up to 3k words), proofreading, copy-editing, and book formatting for those authors hoping to self-publish on platforms like Amazon Kindle, Barnes & Noble, iBooks, Kobo Books, and more. The best way to get in contact with Alex is via email or through her website’s contact form. Offering editing services catered to where an author is in the writing process, Writers & Artists can connect you to editors and literary agents for copy-editing, proofreading, mentoring, and even one-on-one consultations with those familiar with the literary industry. Operating out of London, England, and founded in 2011, Writers & Artists was created as a part of Bloomsbury Publishing. Whether you need help with the opening chapters of your manuscript, to a full manuscript review and final polish, Writers & Artists can help you. A full list of their service packages and rates can be found here. Their proofreading rates began at £7.15 per 1k words, and £2.50 per 1k words for second-round proofs. Their copy-editing rates began at £12.15 per 1k words. If you’re an author looking for structural editing, Wrate’s offers their services starting at £4 per 1k words. For more information and detail about their editing packages, click here. Jessica Grace Coleman is a freelance editor that can assist writers with proofreading, improving manuscript flow, check for storyline consistency, improving dialogue, and formatting manuscripts to meet publisher expectations. Jessica offers both basic editing packages and in-depth editing packages, depending on your writing needs. For basic editing, rates began at £5 per 1k words. For in-depth editing, she charges £10 per 1k words. Jessica is also willing to offer a free trial, where she will edit the first few hundred words of your text to make sure you’re confident in her abilities! Jessica is the type of editor who wants to make sure that her clients walk away completely satisfied. As the founder of OCD Editor, Kali Keogh has worked with authors like Scarlet Risqué, author of “Red Hourglass” and “Blue Orca.” She offers three different tiers of editing: overtired, conflicted, and distressed. Feel free to check out her website for more information about her client list and testimonials about her services. In the first tier (overtired), she will check for sentence splicing and snipping, elimination of repetition, spelling, grammar, punctuation, typos, word choice and usage and general manuscript flow for $0.02 per word. In the second tier (conflicted), she will check for everything in “overtired,” with the addition of identifying major issues with structure, characterization, pace, continuity, manuscript restructure, line editing, and developmental editing at the rate of $0.04 per word. And in the last tier (distressed), she will include everything from the previous two tiers, as well as fact-check for fiction, guide authors through the rewrite process, and complete a final proofread for $0.08 per word. Founded in 2002 by Keirsten Clark, The Writing Literary Consultancy has helped authors like L.E. Holmes, author of “The Forbidden,” and DJ Edwards, author of “Heart Stone.” They have worked with thousands of writers over the past thirteen years, and are more than happy to help you out on you writing journey. They offer copy-editing services, proofreading, writing courses, and manuscript appraisals. While their website offers more detail into specific editing packages that they offer, they recommend that you contact them either through email or through their online contact form to receive a quote. Since all manuscripts are different and have different editing needs, this can help them narrow down on a rate and package that best suits your editing needs. Do you know any other novel editing services in the UK? Please tell us about them in the comments box.